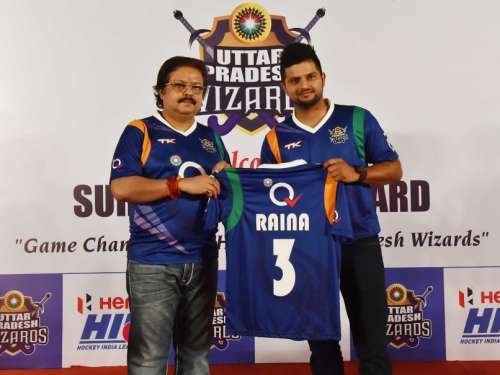 Star batsman and one of the biggest names in Indian cricket, Suresh Raina is all set to purchase a stake in the newly-formed Uttar Pradesh side for the upcoming fifth season of the Pro Kabaddi League, if reports are to be believed. Sources have told Sportskeeda that the left-handed batsman is in talks with executives of the GMR Group with regards to a prospective co-ownership agreement for the UP-based franchise. However, nothing has been officially confirmed as of now. The yet-to-be-named team is one of the four new ones that have been added to the league, making it the biggest of its kind in the country in terms of geographic coverage and competition size. Raina hails from Ghaziabad in Uttar Pradesh and has represented the state at national level competitions throughout his career. If the deal falls through, it will mark his second foray into owning sports franchises after he became the co-owner of the Uttar Pradesh Wizards in the Hockey India League in November 2014. The southpaw was last seen in action in the recently concluded Indian Premier League (IPL) season. He led the Gujarat Lions franchise to a disappointing seventh place, which saw them lose 10 of their 14 matches. On a personal note, he was among the top run-getters in the tenth edition of the IPL, finishing in fifth place in the race for the Orange Cap. He scored a total of 442 runs at a decent strike rate of 143.97, with a highest score of 84. Despite the performance, he was not picked in the Indian team that is currently in England for the ICC Champions Trophy. In the Pro Kabaddi auction last month, it was the UP side that made the headlines after shelling out a whopping Rs 93 lakh for raider Nitin Tomar, who also hails from the state. Their lineup is a strong one, consisting of the likes of raider Rishank Devadiga, all-rounder Rajesh Narwal and defender Jeeva Kumar. In a recent interview, Arun, the coach of the UP side stated that his team is a formidable one and have the firepower required to lift the Pro Kabaddi crown in their first season as participants. It will also be a great opportunity for players from the state to display their abilities and make a mark on the biggest stage. It remains to be seen whether Raina will be confirmed as co-owner but if the arrangement does come through, it will be a great boost to the sport of kabaddi in the state of Uttar Pradesh as well as the country.